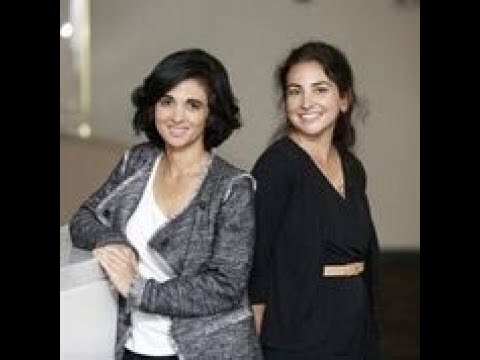 Huda Elasaad and Diana Yousef make up the invention duo behind change:WATER Labs. Huda Elasaad is the CTO of change:WATER Labs, Inc. Huda has extensive academic and applied background in the water field. She has professional experience internationally, including Mexico and the Middle East, and in various facets of the water industry, including municipal plant operations for wastewater treatment, desalination, and water process engineering. Her bachelor’s degree from McGill University focused primarily on the fields of geohydrology and aquatic chemistry. She joined the Department of Mechanical Engineering at MIT in 2012, after completing her graduate work at the University of Michigan, where she concentrated on industrial and environmental chemical contamination and control, by means of exposure modeling, sampling and analysis protocol development, and novel sampling hardware apparatus prototyping. She is a published author in the fields of environmental public health, water treatment design, maintenance optimization and field applications. Huda is cofounder of PV Pure and consults in the field of commercial aquaculture. Founder and CEO, change:WATER Labs, Inc.
Diana, is the Founder, CEO and principal inventor behind change:WATER Labs, Inc. and is a serial entrepreneur with 10+yrs experience in innovating and commercializing technology and novel business models in the cleantech and biotech sectors, pioneering many approaches to translate science and technology into social and environmental impact for the developing world. Her professional career spans the arenas of academic life sciences research, international economic development, strategy consulting, finance and venture capital/private equity investing. She co-founded the Life Sciences Investment Group of the International Finance Corporation of the World Bank, investing in growth-stage biotech and agritech companies in India, China and other emerging markets. After spearheading the United Nation’s Inclusive Markets incubator, she consultant with McKinsey & Company, and worked with clients across several sectors (life sciences, consumer good, private equity, logistics) around go-to-market, pricing and growth strategies; business development and technology commercialization; operations; and post-merger integration. She was a seed-stage venture investor with Battelle Ventures and Kidd & Company, investing in and catalyzing companies around emerging technologies in cleantech, biotechnology, and IT. As an entrepreneur, she spearheaded a number of cleantech and social ventures, including: WeCyclers (social venture to clean up urban slums and create recyclables supply chain linkages in Nigeria), Immerse Global (Stanford-spin out to develop atmospheric water capture technologies), SachSiSolar (MIT-spin out to develop revolutionary new materials to lower the cost of solar energy); and her current venture, change:WATER Labs (to commercialize frugal yet disruptive innovations to expand access to safe water and sanitation in the developing world). She is a former protein biochemist (A.B., Harvard; Ph.D., Cornell), and holds an MBA and an MA in International Affairs (Columbia). She was an original member of TED Fellows Advisory & Selection Committee and a Founding Council Member for NASA/USAID’s LAUNCH Accelerator. She has won a number of awards for the technologies and innovations that she has developed and is commercializing.